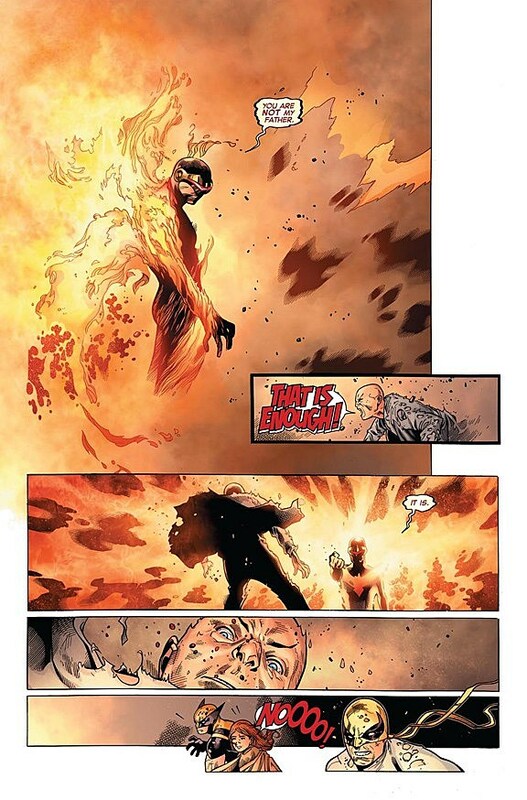 So yeah, Cyclops kills Professor X. "When we first crafted Avengers VS. X-Men, we didn't set out to kill any characters but as the story progressed it became obvious that this had to be the last stand of Charles Xavier", said Axel Alonso, Editor in Chief, Marvel Entertainment. "He's one of my favorite characters and while like all fans I'm sad to see him perish, both Brian [Bendis] and Olivier [Coipel] deliver a powerful, dramatic conclusion to his story. 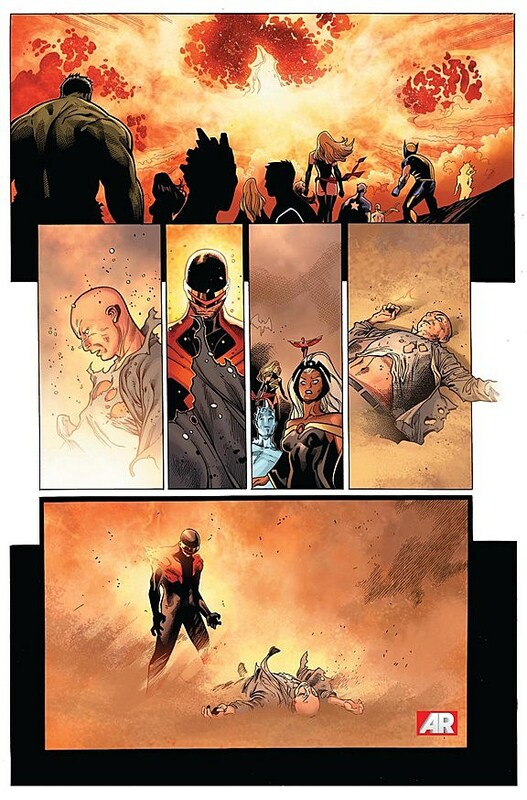 Rest assured his death will reverberate across the Marvel Universe, leading into major launches like Uncanny Avengers and All-New X-Men this fall." Don't worry, everybody! Andrew Wheeler will be back this week with the latest installment of ComicsAlliance Vs. Avengers Vs. X-Men to put all of this in the most critically sound, scholarly perspective you've come to expect. We're sure there are probably more than just these two pages in Avengers Vs. X-Men #11, so you can go buy the issue now in comics shops everywhere and digitally via comiXology.